This bug had been feeding on Horsetail Milkweed nearby. Along Dugas Road, Yavapai Co., Arizona, USA. 3 August 2014. These bold insects are well defended by virtue of toxic compounds in their bodies. Horsetail milkweed, the plant this bug was feeding on is so toxic a few bites can kill a horse. 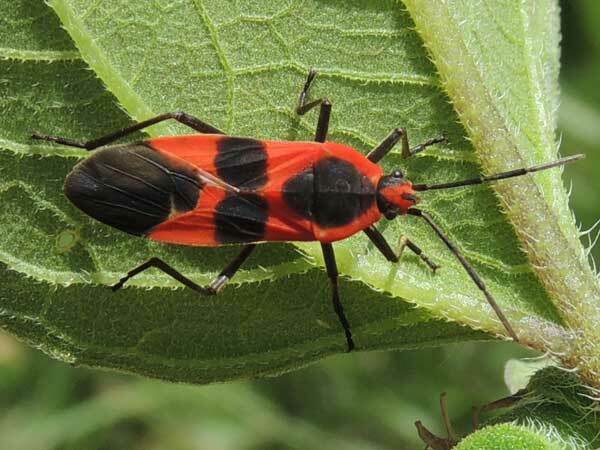 Milkweed bugs have not only defeated the plants defense, they have redeployed its weopons in its own defense. The bold markings serve as warning to birds not to mess with them.